What's the most difficult part of buying a home? For most, it's coming up with enough money for the down payment. 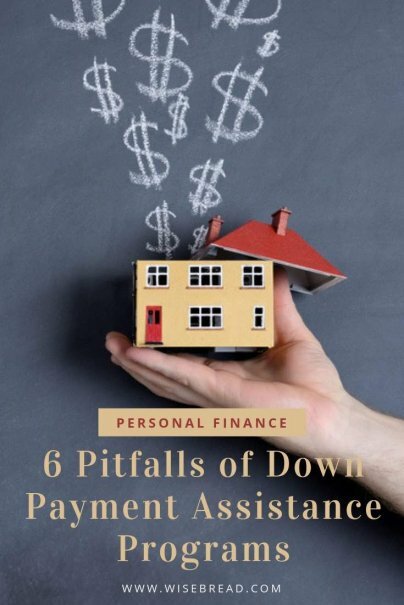 The good news is that there are plenty of down payment assistance programs available to help buyers overcome this financial hurdle. Most of these programs are run by state or local governments, and they usually provide grants or forgivable loans for buyers who need help scraping together the thousands of dollars for a down payment. It's no secret why down payments are such a burden for so many homebuyers — they're costly. Consider that a 5 percent down payment on a home costing $200,000 comes out to $10,000. That's a lot of money for buyers to scrape together, especially first-time buyers who don't already have a home to sell. If your FICO credit score is 580 or better, you can qualify for a loan insured by the Federal Housing Administration, better known as an FHA loan, for a down payment of just 3.5 percent of your home's final purchase price. The Fannie Mae-guaranteed HomeReady program allows you to qualify for a mortgage with a down payment of just 3 percent. And if even that 3 percent down is too much of a financial struggle? That's where down payment assistance programs can come in. The Homebuyer Assistance Program run by the city of Chicago, for instance, provides buyers with a grant for up to 7 percent of buyers' total loan amount, based on income. Buyers can use this grant to cover the down payment or closing costs. The Low Income Purchase Assistance Program from the city of Los Angeles is a bit more complicated. It provides a loan of up to $90,000 for down payment, closing, and acquisition costs. The loan is deferred, meaning that homeowners don't have to make any monthly payments on it. They only have to pay it back when they sell their home, pay off their mortgage loan, or transfer the title of their home. If none of this happens, they will have to pay back their loan in 30 years. The city of San Antonio's Homeownership Incentive Program loans $1,000 to $12,000 at 0 percent interest in the form of a no-payment second loan. Buyers can use this loan to cover down payments or closing costs. The city says that 75 percent of this loan will be forgiven over a 10-year period. Other programs will only allow buyers to purchase homes in certain areas. The city of San Antonio's program, for instance, only allows buyers to purchase homes within city limits. The same is true in most other cities across the country. Many programs require that buyers live in the homes they purchase for a set number of years. In Houston, the city's Homebuyer Assistance Program requires that buyers live in their new homes for at least five years. If you sell your home before the set number of years, you'll have to pay back the assistance you received on a prorated basis. Many programs are only available to participants who meet the criteria of "first-time" buyer. There is some leeway here, though. You might be considered a first-time buyer even if you've owned a home before. Some programs define a first-time buyer as someone who has not owned a home in the last three to five years. If you're struggling with down payment funds, consider assistance programs. Just remember that these programs do come with requirements that could limit the home you buy, where you buy, and how long you must live in that residence.